Rent Romus' long awaited release since 2000 with his ever changing group collective The Lords of Outland, crosses over the boundries of jazz and improvisation infusing noise, free thematic creation, and dismayed sonic expression on the state of the 'union', and its self-proclaimed iron fisted mighty hand of destruction and power as a means to world diplomacy and control. "Culture of Pain”, with its plethora of simultaneously stirring lines, mirrors the world around us and offers equal reason to be loved and hated...Romus’ ensemble, however, shows us not a detail but a whole chunk of reality, with all of its contradictions, confluencies and its methodical crazyness." "This album will make you purr and howl; it's a right cross flattening that decrepit opponent named "inane jazz". 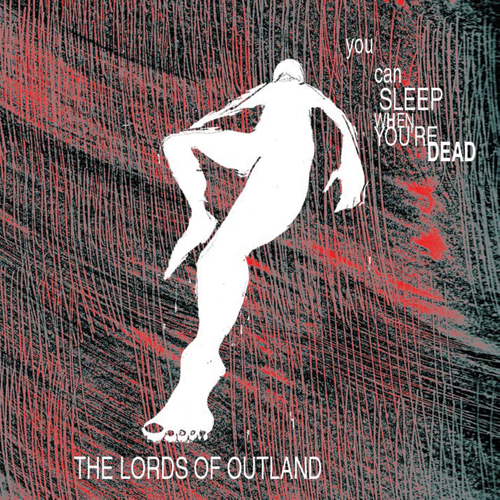 I'll shake the hand of those club owners who will have the nerve of booking the Lords of Outland; meanwhile, a copy of this CD will work wonders if you suffer from commercial music depression." "...leaves the listener with an ironic smile throughout the disk...Rent Romus yields homage to one of his most outstanding influences – Albert Ayler, whose ghost strolls cheerfully to the disk, materializing in the retexture of Universal Indians and Saints...Culture of Pain is a big artistic success, a visionary event in the world of improvised jazz." "...inventive cutting-edge sounds...ghostly howls, which sound as if they leeched in from a Japanese horror flick soundtrack, appear on one Culture track, with other tunes filled with miasmatic pulses courtesy of Reaven Borosque’s flanged guitar licks and crackling electronics. Scraped timbres, perhaps emanating from Everett’s autoharp or Romus’ zitherod (sic) provide sandpaper-like abrasions underneath the Aylerian saxophone lines and oscillated wind-tunnel sounds, while Shaeffer’s sluicing bass configuration links the CD to rock-like beats." "...the combination of experienced free-improv players and blinding white noise is revelatory indeed...If you've ever wondered about the possibility of hearing a collision between beatnik free jazz and power electronics, then your prayers have been answered." "...the whole thing thunders on like giant hurricane. For the die hard fans..."
"A cavalcade of throat-pounding sound and mind-bending ideas."